The Microflex® Installed Microphone series combines superior sound and elegant, low-profile design. 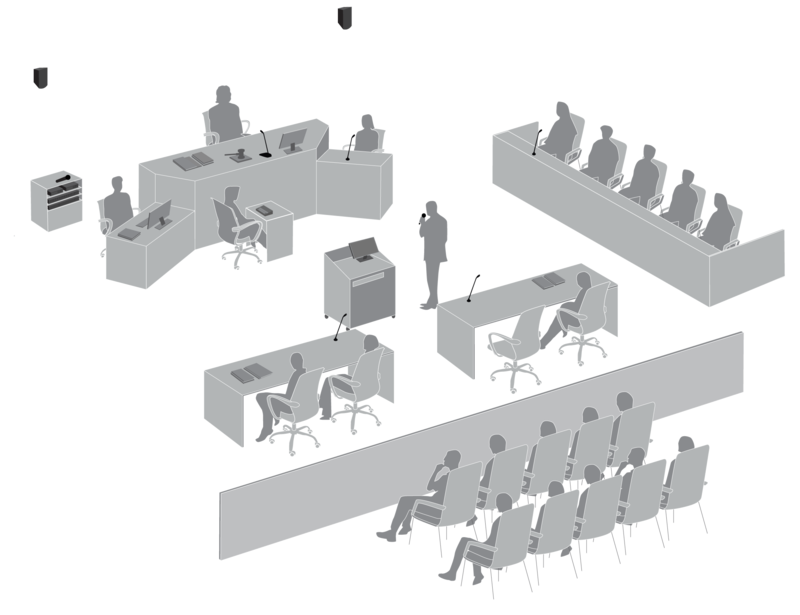 Ideal for demanding speech reinforcement needs, and also available in wireless configurations for flexible placement, it provides highest standard of audio quality for modern courtrooms. Additionally, the QLX-D™ Digital Wireless System provides mobile speech & presentation flexibility, with Ethernet networkability for easy integration, and audio encryption when confidentiality has to be maintained.